The tradition of volunteer fire fighting in Stewartstown began in 1893 with the purchase of a "hand pumper" which took 8 men to pump while a bucket brigade carried the water. The pumper cost $287.12 including hose and ladders. This piece of equipment was put to the test in the fall of 1893 at the J.B. Gable cannery house fire. Longtime member and secretary John E. Anstine was there and recorded that the equipment "rendered a great service," although the cannery burned down. The hand pumper is housed in our back building and is currently being restored. The Stewartstown Engine Co. was formed in 1896. The first fire hall was a wooden building (which still stands today located at 13 North Main Street) and also housed the town jail. 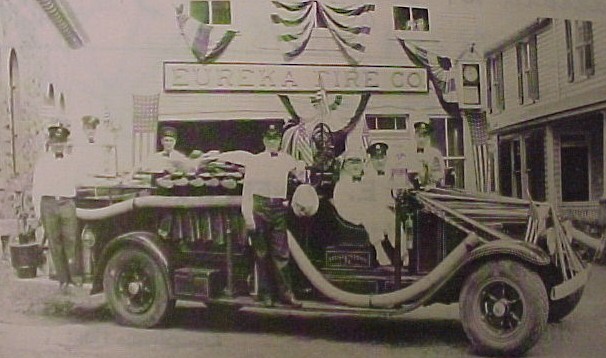 In 1906, Eureka was chartered and a hose truck was added in 1911 at a cost of $82.50. After World War I, more modern apparatus for the period was added with the purchase of the International in 1931, the first combustion-engine powered apparatus. In 1935, the Stewartstown Lions Club sponsored the first town ambulance which was also housed in the town hall. In 1939, the borough of Stewartstown, Hopewell Township and East Hopewell Township formed the Eureka Consolidated Corporation and another International was purchased in 1939. This engine is currently housed in our back building and is being restored. By 1944, a new fire hall was created on West Pennsylvania Avenue by converting the former cigar factory. The equipment was housed in the basement while the upstairs served as the "canteen" for the firefighter&apos;s fellowship. This building later had a two-story addition added and housed the offices of the borough hall for some time. Money from the "canteen account" helped purchase the first service truck equipped with gas masks. Two other pieces of apparatus were also purchased between 1947 and 1953. 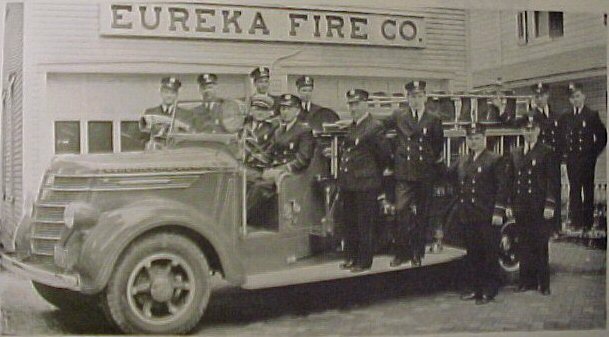 The Eureka Ladies Auxiliary was formed in 1949 and became a valuable asset to the fire company. In 1965, the ladies auxiliary purchased a new service truck for Eureka. Many advancements were made over the years, one in particular was the formation of the Junior Fireman in 1967. This gave the company additional manpower and sparked interest in fire fighting among the youth in the area. 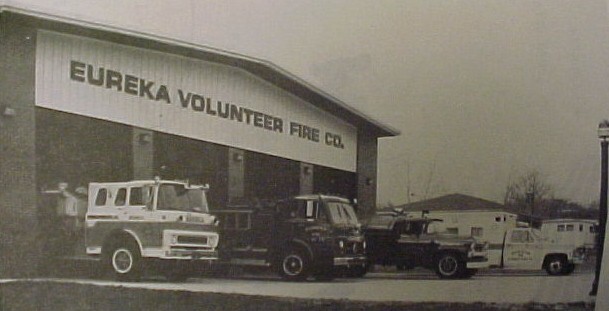 In 1970, Eureka became known as Station 54 and with the introduction of a county wide radio system and personal monitors, members that lived a farther distance from the station were able to be alerted and could respond to calls. The ambulance club continued to grow and by 1980, the club became certified under the states voluntary ambulance certification program. In 1981, ground was broken for the present day fire hall which sits on the northern boundary of the borough, across from the elementary school. Station 54 is now two buildings, with three engines, the truck, tanker, brush, and two ambulances in the main building, and the second tanker, service van, 1953 FWD, 1939 International and fire safety house in the lower building. In 2006 Eureka celebrated it&apos;s 100th anniversary. We continue to thrive and face new challenges such as a growing community, increased operational costs, decline in volunteerism, and an increased demand for services. Become a part of our history and join today - help keep the volunteer tradition alive!